A few years back, a new-age wave hit the Tamil film industry and ramped up the content and business factor of the industry to a commendable spot. All through this phase and beyond, CV Kumar and his banner Thirukumaran Entertainment has been a major game changer. 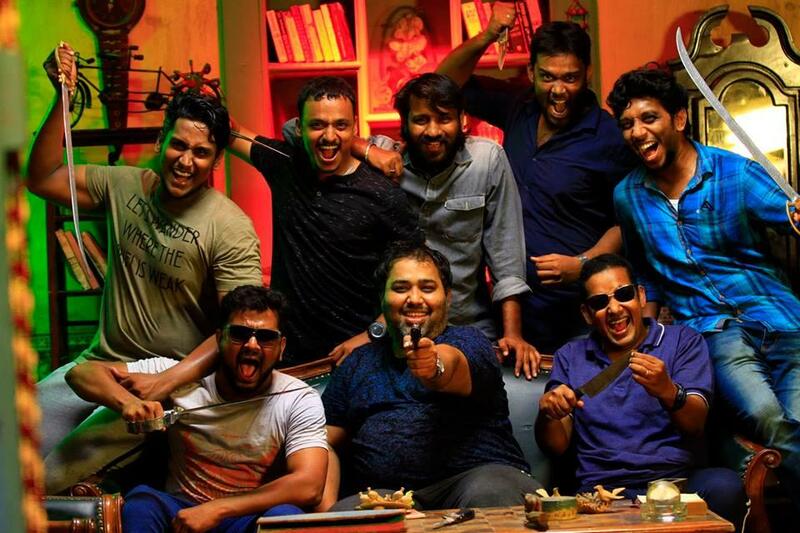 Now as he is set for the theatrical release of his second directorial, Gangs Of Madras, we see him share his perspective towards the art or rather the trade of filmmaking. Are you an accidental director or you always aspired to be one? I'm neither. I always want to do a task well and achieve a satisfactory state. I also tend to move ahead to the next task so I don't feel mundane. That is how my journey as a director started. Storytelling is a team effort and the output depends on the crew. A director should be able to coordinate well with his team to churn out that quality product. Where did the inclination for films begin? Any 80's or 70's born person would agree with me if I say films were the only source of entertainment then. So all of them from that period are great film patrons and great storytellers. Few got the opportunities but few were not that fortunate. A lot of credit goes to our Tamil language. Our literature and language can make anybody inclined towards art and literature. But you went that extra mile to take up filmmaking as your profession. What was the driving force? I was basically a travel agent. As I read a lot of books as a child, my dream was to travel. By the time I was 20, I became an overseas tour and travel person and I very quickly realized my dream to travel the world. That job slowly started becoming mundane and I had an idea to produce films. I wanted to establish a film production banner and develop it like AVM or any big banner that is popular by name and the line of work it does. But eventually even the routine of producing films got me and I wanted to pursue direction. Now I want to be recognized as a good director and once it is done, I'd probably move on to the next thing. That's my way. We hardly see people aspiring to be a producer. Is it because production is not considered as a skill or art? Production is absolutely a skill! Many film news articles use the word 'bankrolled' to refer to a producer. It's not right. A producer does more than just giving his money. Anybody can bankroll but it takes a producer to make a film and bring it out to the theatre. A producer should understand the story, the director and all the technicians. He must gauge the story's demand for budget and strategize the commercial aspects. In fact, I feel production is more challenging than direction but doesn't get the deserved recognition. Do you treat a film as a work of art or as an end product of a business? Have you ever seen a director or an actor come forward and say, "I want to make a film and be involved in this artistic endeavor. I'm not looking for money"? If this is the scenario, I'll agree if you call filmmaking an art form. But this field is an extremely commercial one. The cast and crew own up the success of a film but the producer takes up the failure alone. In this case, how can you not look at it just as a product of a business? Even the audience doesn't watch a film for free. None of the technology or machinery involved in the process of filmmaking was invented with the intent to develop an art form. It is always a business over an art form. Cinema has never tried to be an artistic or literary medium. So what about the societal changes or messages cinema tries to bring among the audience? I definitely deny the notion that films can bring about a change in our society. Give me one such example! I know people believe that it has the power to bring a change but if it is true why it hasn't done anything like that in 1000 years now? We did watch MGR, Pattukottai and many such talents with high morality and ethics but why is our society still so spoilt? It only empowers an individual but not a society on the whole. Films are for entertainment and not for revolution or reformation. Having said all this, what still inspires you to make a film? For me, the entertainment factor is the only inspiration to make films. Is it burdening to be a producer and a director? I don't feel that way. When you play both the roles you have a lot of liberty. You are under nobody's mercy during your writing process at the same time you don't have any financial hiccups because of another person. It is you who has to handle everything with a lot of freedom. Most of the directors you collaborated with as a producer in their initial stages are big names in the industry now. How do you see their journey? All of us share a common love for cinema. And, all my directors were well aware of the commercial liabilities of a film and that's what has made them the person they are now. They were conscious that the producer should not lose hope after their film. They wanted the producer to continue making films and they realized their responsibility in that process very early on in their career. They were extremely passionate and did not approach it with any manipulation. Why did you choose Maayavan to debut as a director? That particular story was my favorite one. I had written 3 other stories but that particular tale commanded me to make it into a film. When did the spark for Gangs of Madras happen? I read a news article about a particular murder that had taken place. It started off there for me. How women see certain things that happen to them and their reaction to those events stands as a crux to the film. As mentioned in the teaser, it is about fighting for your own cause and refraining from waiting for a third person to fight for you. Freedom is something that each individual takes up on their own. Freedom can never be given if it is given it isn't freedom; it is a restriction. Gangs of Madras deals with these basic ideas with a female protagonist taking the center stage. The casting idea to have Priyanka play a gangster? You will not ask me this question after watching the film. She fits right. Yes, she might defy the stereotypes that exist in the industry with respect to casting ideas. But the film will answer all the questions relating to her. CV Kumar closes by saying that Gangs of Madras will be that film that everyone who watches it will refer the film to at least one other person and the output excites him as a filmmaker. We wish him the best and let the film do the rest of the talking. copyright @ 2016 MovieCrow, Inc. All rights reserved.